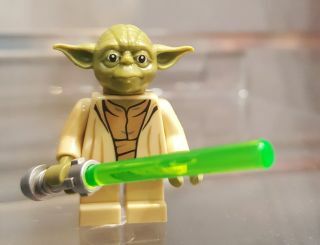 This is going to be a good year for anyone who loves both Legos and "Star Wars" — Lego is adding more than 30 "Star Wars"-themed sets to its lineup this year. Space.com got a first look at the new sets at Toy Fair 2017, and — spoiler alert — they are awesome! The new building sets include characters and ships from multiple "Star Wars" films — including "Star Wars: The Force Awakens," "Rogue One: A Star Wars Story" and "Lego Star Wars: The Freemaker Adventures" — as well as the "Star Wars Rebels" television series. Lego is adding five new characters to its existing set of build-your-own action figures, including figures from "Rogue One." A buildable Stormtrooper commander, Chirrut îmwe, Baze Malbus and a Scarif Stormtrooper will hit the shelves of Lego stores in June. This minifigure gets its own entry on our list because it comes with an awesome accessory. Remember the chase scene in "Return of the Jedi" when the Scout troopers chased Luke and Leia through the forest? Lego's new speeder bike and Scout trooper set lets you pretend you're in the middle of the chase. This building set will be available beginning in June, is meant for anyone 10 or older and comes with 452 pieces. Re-create iconic scenes from "Return of the Jedi" with this Lego set. It includes four minifigures — Han Solo, Chewbacca, Boba Fett and a skiff guard — a skiff and a Sarlacc pit. This spring, Lego will introduce several minifighters that are easy and quick to build. Four Microfighters join the lineup: a U-wing, TIE Striker, Y-wing and Krennic's Imperial Shuttle. We can all agree that Yoda is one of the best "Star Wars" characters, right? That's why we're so stoked about Yoda's starfighter coming out later this month. The set comes with 262 pieces, including a little Yoda and a tiny R2-D2. Two new "Star Wars" battle packs will be released in March: a Rebel-trooper pack with 120 pieces, and an Imperial-trooper pack with 112 pieces. Both building sets are designed for ages 6 and up, and add fun new figures, machines and weapons to your existing "Star Wars" collection. Follow Kasandra Brabaw on Twitter @KassieBrabaw. Follow us on Twitter @Spacedotcom, Facebook and Google+. Original article on Space.com.